"Photo was taken by Gary Schmidt at the top of Mosquito Pass (in Colorado) on Sept. 13, 2009. This was a dual-sport ride that included Michigan, South Dakota, Nebraska and Colorado dual sporters. 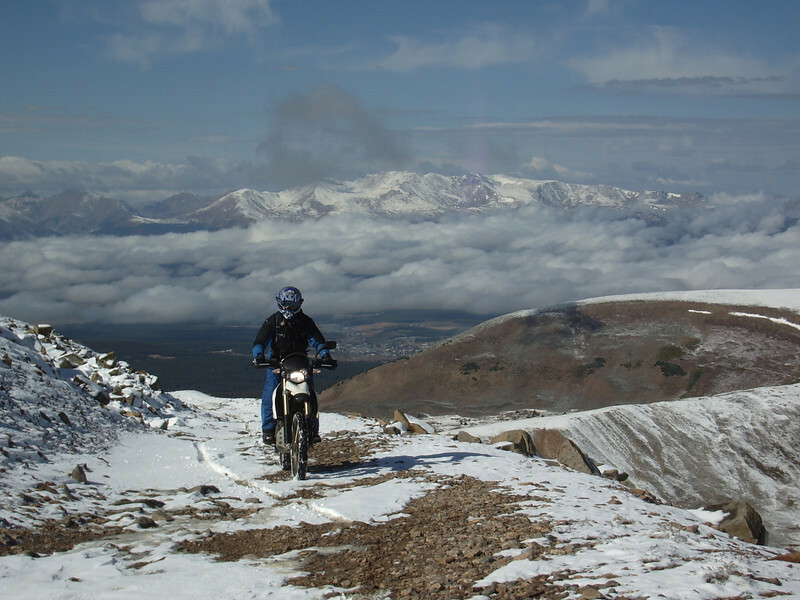 That's Leadville, Colo., in the background and Jim Noteboom on the XC BMW. Second tracks in the morning snow." - Jim Noteboom of Evergreen, Colo.